Clothing retailers will open pop-up shops to put new patterns and fabrics directly into the hands of potential customers. Art.com is an online marketplace for fine art prints, but it sets up temporary shops to put art in front of buyers’ eyes. Now Michael Halebian & Co. is getting in on the trend. The company will collaborate with Kährs to create a pop-up showroom in Manhattan from May 15 to June 14, 2018. The New York Metropolitan Area is a major market for Michael Halebian & Co., and the city holds a high concentration of architectural specifiers and architectural firms. More specifically, there are 25 large multifamily-focused architectural firms within walking distance of the pop-up showroom. “This is a chance to personally introduce the architectural market to products we have recently added to our lines, along with products that Kährs distributes exclusively through us,” says Bill McDonald, commercial specification manager for Michael Halebian & Co. Kährs will be introducing a new wide-plank line called Prime, and its representatives will be asking clients for their input in creating the color palette for the 2019 Zorro Collection, another wide-plank introduction. The two companies will host CEUs on topics like sound suppression and sustainable products. 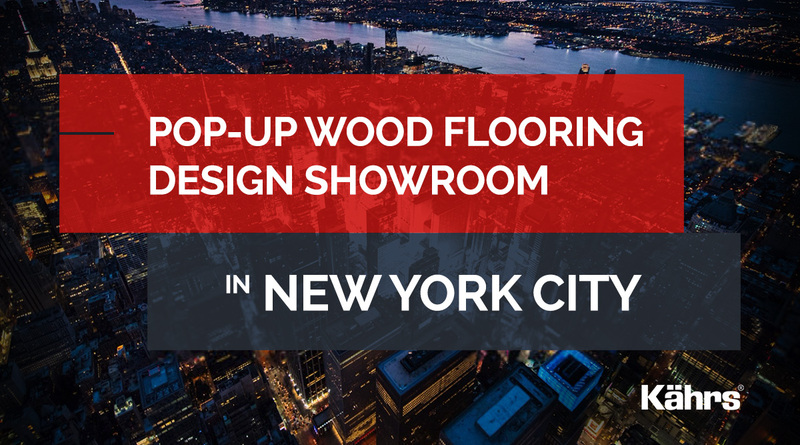 The showroom will be open Monday through Friday each week, at 45 W. 28th St. 2nd Floor, north of Madison Square Park. For more information on events and showroom appointments, contact your MHCo architectural representative.